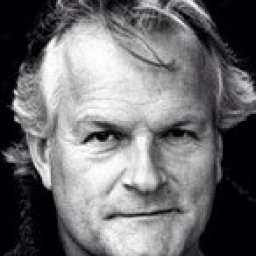 Born in Barnet, Clive Mantle has been a well-loved British actor for nearly 40 years. As a boy in the 1960s he sang with St John’s College Choir Cambridge, went to the National Youth Theatre and trained at RADA in the 1970’s and has been a fixture on stage and screen ever since. Best known for playing ‘Little John’ in ‘Robin of Sherwood’ and ‘Great Jon Umber’ in ‘Game of Thrones’, Mike Barratt in ‘Casualty’ and on stage, ‘Tommy Cooper’ and ‘Lennie’ in 6 productions of Steinbeck’s classic ‘Of Mice and Men’. His voice is equally well known from nearly 200 Talking Books and animated characters like ‘Gator’ in ‘Thomas the Tank Engine’. He has been an avid reader ever since being handed ‘Stig of the Dump’ by his parents and his favourite children’s books are the ‘Noggin the Nog’ sagas by the visionary Oliver Postgate. Clive’s passions are walking and fresh air, in the wonderful Wiltshire countryside. Clive’s inspiration to write what is now the first in the series of the Freddie Malone stories came during a trek to the Mount Everest Base Camp for the charity ‘Hope and Homes for Children’. He has since returned to the Himalayas and completed the Annapurna circuit.